Melbourne’s Circus Oz, under new Artistic Director, Rob Tannion, returns to QPAC after an absence of some years (you might remember Steampowered in 2011) with a wink, tongue in cheek and two thumbs up, in Model Citizens, a boldly conceptualised, powerfully political look at what it means to be a resident in our lucky country. In a beautifully designed (Michael Baxter), dramatically lit (Sian James-Holland) model-kit playground of oversized ordinary objects, this newly assembled troupe surpasses expectations, bringing their entertaining physical feats and cheeky Aussie humour to the Playhouse stage for a strictly limited season. It’s a shame it hasn’t enjoyed a longer run right through our school holidays. This is not so much a new direction for Circus Oz – they’ve always been politically and socially cheeky and funny, and had the band on stage and performed all the tricks – but more a refinement of the mischievous, clever form, which takes the most entertaining and exciting elements from circus, cabaret, dance and theatre, and combines them to create a refreshingly different circus style. The real difference here is Tannion’s uncanny ability to fuse concept, design elements and content, making Model Citizens a more polished show than we’ve seen previously, and without having an actual narrative, is just about as seamless as circus gets. Tannion’s dance and choreographic background comes through in both the fast-paced super busy sequences, with the performers running and leaping and balancing and tumbling all over the place, and in moments of relative stillness, such as the opening sequence when we find ourselves grinning at ironically stereotypical frozen statues that come alive and eerily, like mannequins or Stepford Wives, peer at the emcee Mitch Jones AKA Captain Ruin, and run away from him, playing a sort of hide-and-seek-milling-and-seething ensemble game. Just to note, in case you’ve also gone back to school and ended up studying composition this year, Tannion’s direction is the best application of the Viewpoints I’ve seen in a while (only Natalie Weir’s work with EDC regularly does anything remotely similar). It’s an interesting, discerning use of triangular floor space, and giant everyday objects, including a peg, a cotton reel and a safety pin. The giant safety pin serves as our Chinese Poles (actually opening and shutting with the weight and agility of the performers, a brilliant realisation of design and purpose) and an enormous pair of Bridget Jones’ knickers provides a unique take on a classic aerial act, with silks dropping from overhead on a peg. A balancing act on a house of oversized credit cards has us considering our economic situation when, proudly and precariously teetering at the top, Luke Ha is offered yet another card i.e. more credit, which, to the delight of the audience, he adamantly refuses. Jones as Captain Ruin, heavily inked and sporting a pink punk mohawk, a gold tooth and a tutu, sings and roller-skates and gets himself out of a straitjacket in record time, which we’ve seen a good friend do too, sure, but not whilst hanging upside down by his ankles! Jones is irreverent and enigmatic, irresistible, driving the show and stitching many of its pieces together. The most surprisingly erotically charged knife throwing act ever sees the bewitching Freya Edney ducking and weaving, then blindfolding Jones to finish the act. Her hoop act astounds and then, upping the anti, a giant roue cyr (cyr wheel) is manipulated by another performer while the ensemble members roll bowling balls around him. A series of silly puns throughout the show have us groaning in a good way, and the original songs elicit raised eyebrows, some dropped jaws, wide eyes, and lots of raucous laughter. A small herd of sheep causes hysterics in the audience at the beginning of Act 2 as a sheep dog rounds them up and puts them into their pen, which also holds a Webber barbecue and Captain Ruin. In an undeniably Amanda Palmeresque performance style, Edney plays ukulele and sings straight-faced about how tolerant and accepting we are of others, “but not in my backyard.” The undercurrent of pseudo-political correctness and self righteousness is, unfortunately, easily recognisable and appeals to the collective sense of humour on opening night. Jeremy Hopkins and MD Ania Reynolds add heightened energy and sass on stage as well as strong musicianship skills. Historically, Circus Oz has found it difficult to resist having a go at the world’s most famous circus since Barnum & Bailey, Cirque du Soleil, and refreshingly this time, rises above the seemingly typical Australian need to take a swing in their direction. This time no reference or comparison is made. Circus Oz has grown up and gotten confident, claiming their space in the contemporary Australian circus arena. Model Citizens boasts a beautiful sense of childlike playfulness and innocence without forsaking any of the sheer thrill we expect from circus, and on the other hand, offers a wizened, wry look at the way we see ourselves. It’s perfect whole family fun at an affordable price, right here in our own backyard. Model Citizens features the many and varied talents of Freya Edney, Jake Silvestro, Jarred Dewey, Jeremy Hopkins, Lachlan Sukroo, Luke Ha, Mitch Jones, Olivia Porter, Rose Chalker-McGann & Steph Mouat. 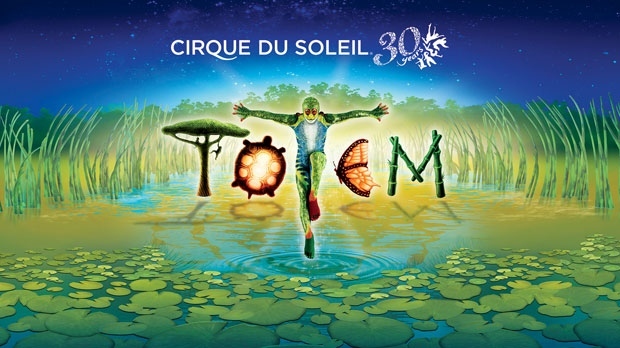 Well, this week Cirque turns thirty and next year in April we welcome TOTEM to Brisbane (or see it in Sydney in October)! NO, IT IS NOT TOO SOON TO BOOK TICKETS! On Monday 16 June 2014, Cirque du Soleil officially celebrated its 30th anniversary. This is one of Brisbane’s most loved visiting companies, and has a story to tell like no other. Three decades ago, Cirque du Soleil was the dream of a small community of travelling performers in Quebec, Canada who would do anything to share their love of the circus. The family has grown since then and now includes thousands of dreamers—creators, artists, technicians and workers who toil in the shadows. The dream has become a symbol of Quebec pride, with the international entertainment company having brought 35 large-scale shows to life, 20 of which are still in operation. The company has close to 4,000 employees, including 1,300 performing artists from close to 50 different countries. You already know one of the Cirque family members – my sister, Analiese, who is currently SM on Michael Jackson The Immortal World Tour, which we saw here last year. 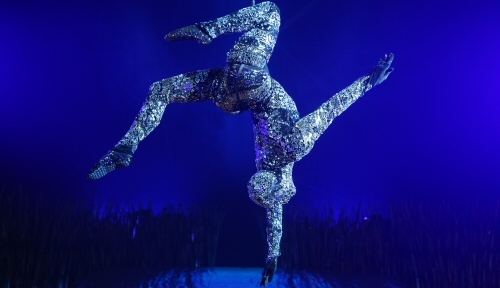 Since 1999, Cirque du Soleil has brought seven of their productions to Australia. Adding a new chapter to Australia’s love affair with Cirque in this 30th anniversary year, the Big Top production TOTEM arrives in Sydney on 28 October and will then tour nationally including seasons in Melbourne, Brisbane, Adelaide and Perth. It all started in Baie-Saint-Paul, a small town near Quebec City, in Canada. There, in the early eighties, a band of colourful characters roamed the streets, striding on stilts, juggling, dancing, breathing fire, and playing music. They were Les Échassiers de Baie-Saint-Paul (the Baie-Saint-Paul Stiltwalkers), a street theatre group founded by Gilles Ste-Croix. The townsfolk were impressed and intrigued by the young performers, which included Guy Laliberté who became the founder of Cirque du Soleil. 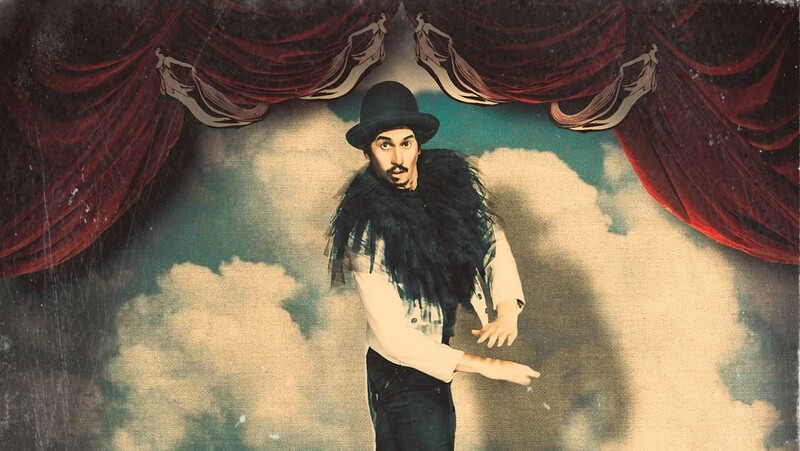 The troupe went on to found Le Club des talons hauts (the High Heels Club), which began to attract attention, and Guy Laliberté, Gilles Ste-Croix and their cronies began to cherish a crazy dream: to create a Quebec circus and take the troupe travelling around the world. In 1984, Quebec City was celebrating the 450th anniversary of Canada’s discovery by Jacques Cartier, and they needed a show that would carry the festivities out across the province. Guy Laliberté presented a proposal for a show called Cirque du Soleil (Circus of the Sun), and succeeded in convincing the organisers. And Cirque du Soleil hasn’t stopped since! Before we even got to the theatre, Aroha had to do some acrobatics to get into a tricky car park. We (sensibly) ran across the road to make the show on time and (carefully) raced up the steps to find four seats together in the top row of the tiered seating. We had very good luck all day. We could see everything. EVERYTHING! This is a circus show of a different kind, without animals, fancy costumes or a Ringmaster, but with extremely talented kids of various ages, who clearly love what they do. What they do, for 60 minutes without an interval, is tumble – forwards and backwards – stand on the shoulders of their friends, hang and twist and twirl on ropes and hoops and swings, leap over each other and jump giant red flags, juggle yellow squishy balls, and keep five plates spinning. I just have to put in, not wanting to spoil the show if you’re going to see it, but do you want me to tell you just one little bit of an actual act? There is a really funny, circus performer. He started off singing along with some music and the other performers kept putting more and more shirts on him. This is something that made me think of my cousin because no matter what happens, even if somebody sits down in the seat that Oscar wants, he just keeps doing what he’s doing, in this case, singing. In this way the little boy was like a clown at the circus and some people laughed and some people didn’t. Maybe they didn’t get it. I screamed with laughter. I got it. Even though the costumes weren’t fancy, they were funny and just good for the acts with big, beautiful, colourful flowers on most of them. One girl wore a bathing cap of flowers. No one wore shoes. Barefoot is better for circus. The performers are really brave. They take awesome risks, physical risks, and surprised us by climbing over each other. The smallest kids climbed up onto the tallest kids. Sometimes this was to get to the equipment above their heads. Sometimes they just jumped on each other for fun and games. By climbing and balancing, the whole cast of kids create a very fun-looking and extraordinary wall. Mum says they’ll remember they did that and use that extraordinary shape in physical theatre one day at school! The music changed only once. I don’t mean they play just one song – there are lots of songs – but the music suddenly becomes dangerous and an older girl swings on the high rope with a safety rope attached to her belt, and she looks quite groovy. There was a lot of clapping and screaming because her act was so risky. I loved the fun and games in the foyer afterwards. There were: hoops, spinning plates, devil sticks and soft juggling balls. This meant that the show could go on for us and we stayed until no one else who had seen the show was still there. Amanda asked if Flipside gets the Poppy Seal of Approval and yes! Definitely! It was the most awesome, spectacular and amazing circus we’ve seen this year. Flipside teaches other kids too. You can do their classes and holiday workshops at their studio. 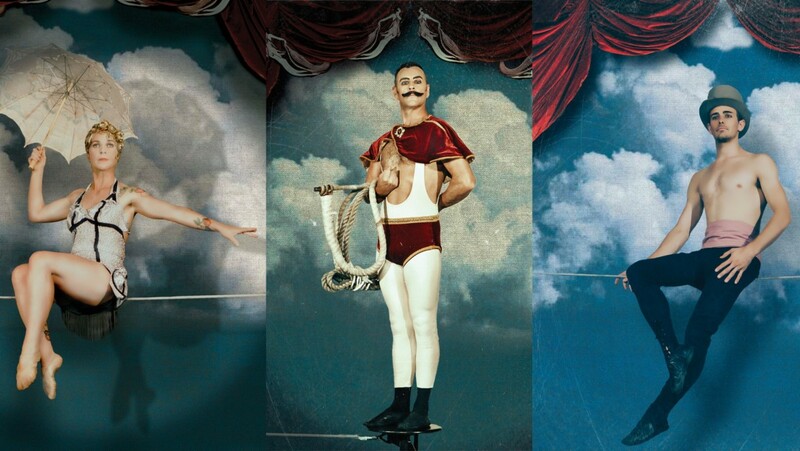 Even kids who don’t normally do circus – anyone can do it! Because I’m on the Sunshine Coast I’m doing a different class next week here but if you’re in Brisbane you should definitely check out Flipside for your kids. They will love it! And they will love this show! But two shows sold out and the last one is tonight so see here if there are any tickets left for you. An acclaimed Australian playwright and a world-class contemporary circus ensemble combine to create this acrobatic odyssey. 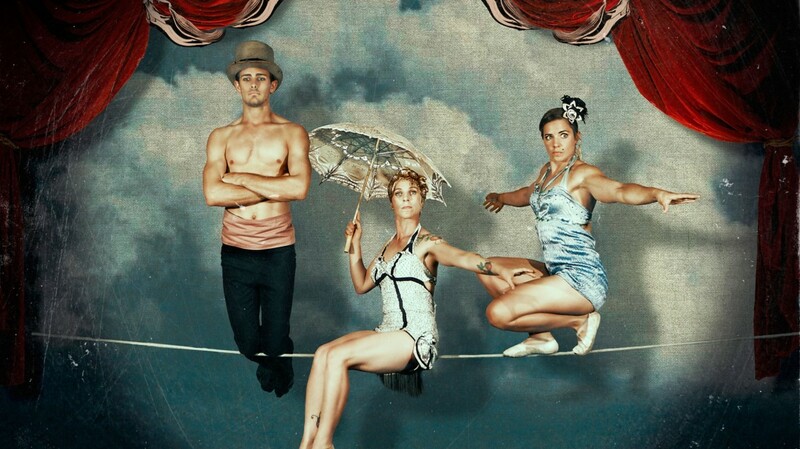 Combining the beautiful prose of multi-award-winning playwright Finegan Kruckemeyer (The Tragical Life of Cheeseboy) and the talents of critically-acclaimed circus performer and director Chelsea McGuffin (Cantina, Circa), She Would Walk the Sky is a special commission inspired by the theatricality and scale of Brisbane Powerhouse. A story told above, in and around the audience, She Would Walk The Sky sees new fables and old myths unfold in the vaulted halls of Brisbane Powerhouse. Leave behind the world you know and enter a land where old fires, lost dreams and new hopes linger amidst the broken skies of an old empire. Oh wow, what a magnificent finale to WTF14! Chelsea McGuffin’s She Would Walk The Sky, commissioned for Brisbane Powerhouse, is indeed an odyssey, taking us on a strange and exotic journey from the Turbine Platform to a place in a parallel universe, inhabited by birds and circus artists. It’s an 8:30pm show on a school night, much too late for Poppy – she’s been to two shows in two days already – but she insisted on seeing this one, the last offering from this year’s festival and I’m grateful she experienced it. This is a different sort of circus. Circus is so often bright and shiny and colourful – we are so used to Cirque’s style now (my sister just took off on the USA tour of Michael Jackson The Immortal World Tour by Cirque du Soleil! ), and while She Would Walk The Sky is by no means a show without the colour and texture and tone and shine and finesse of exquisite technique and trust (not to mention gorgeous costumes by Tigerlil, intriguing writing by Finegan Krickmeyer and artful direction by McGuffin), it lays claim to a slightly different aspect of circus performance, harking back to the original vaudeville acts, blending storytelling, intense relationships, performance art and acrobatics to create something very special, and somehow, a little bit eerie. 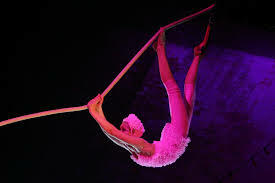 The tricks are, of course, fabulous, demonstrating superior strength, balance and perfect timing, which rivals just about anything we’ve seen under the Grand Chapiteau, only in here, in this versatile space inside the Powerhouse, it’s such an intimate experience that we try to stop ourselves even from breathing, let alone gasping under our breath! When incredibly skilled performers like Mozes step into the spotlight, this is an almost impossible challenge, especially when his daring acts are backed by the stirring music played live by performers, and the musicians and composers, Trent Arkleysmith and Sue Simpson. The intensity is heightened because every other performer also has their eyes glued on Mozes as he spins and drops; it’s a fine lesson in focus and only one example of the tone of some parts of the show. On the flip side, there is lovely humour in the piece, and delicate, well-studied movement by Alex Mizzen, who has not only acquired the ticks and flicks of a gentle, beautiful, fragile birdlike creature, but has donned enormous eyelashes to make her look like Amazing Mayzie’s coy little sister. The show is emceed by a rather clownish host, the youngest of the troupe, who confounds us with bits and pieces of prose, unfinished thoughts and definitive statements about the future of two of the performers (nothing comes of their pairing in the show, they will never end up together, nothing will come of it! ), turning upon its head the notion of the ringmaster who is always in control. One of the most poignant moments of the show is felt when a heavy length of rope drops from above and continues to fall on top of him, burying him beneath its weight. At first it’s funny, but then the joke goes beyond, and somehow it becomes a forlorn observation on the fruitlessness of even trying at life. I almost cry. Is it just me? I have no doubt that I would have a different reading of the entire piece if I were to see it again. She Would Walk The Sky is evocative of anything lovely and sad you’ve ever remembered, and I can’t wait to experience it again sometime soon.